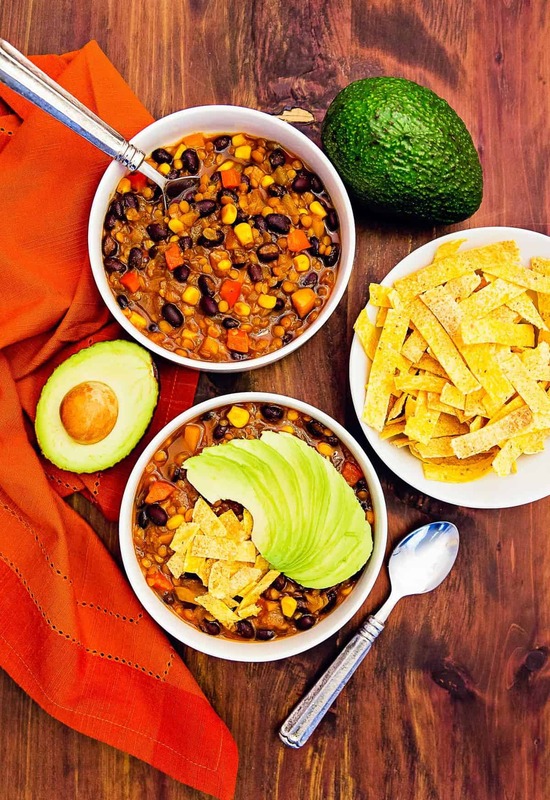 This Lentil Tortilla Stew is so easy and flavorful; it is sure to be a new family favorite. Plus, it’s Whole Food Plant Based: oil free, refined sugar free, no processed ingredients to minimally processed ingredients, and gluten free! What is better than a beautiful bowl of stew that is wonderfully hearty and filling? 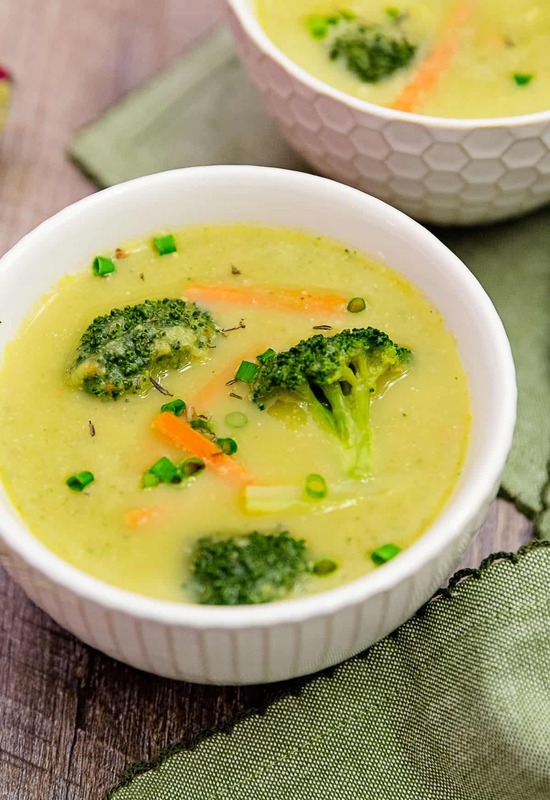 This soup has to be one of our absolute favorite recipes that we have ever created. 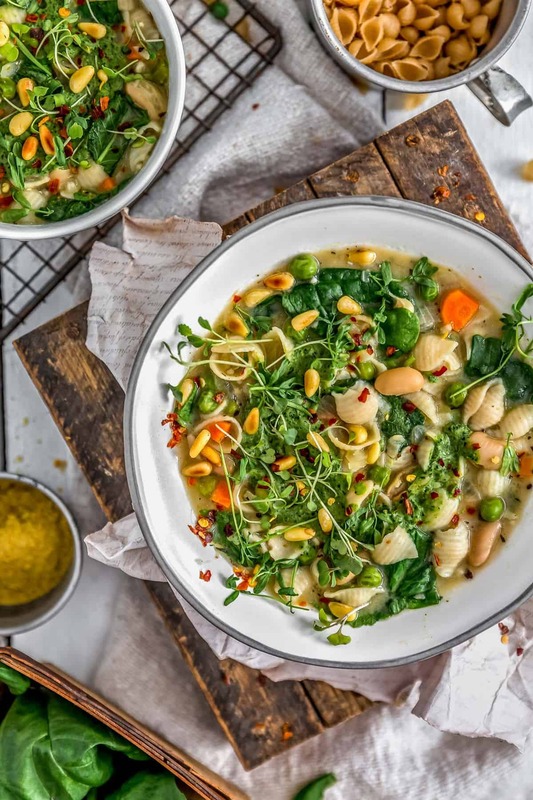 The Whole Food Plant Based diet really lends itself to creating amazing soups and stews. We always have multiple containers of soup in our refrigerator. It really does pack a flavor punch, which we love! Lentils always seem to make any recipe hearty. 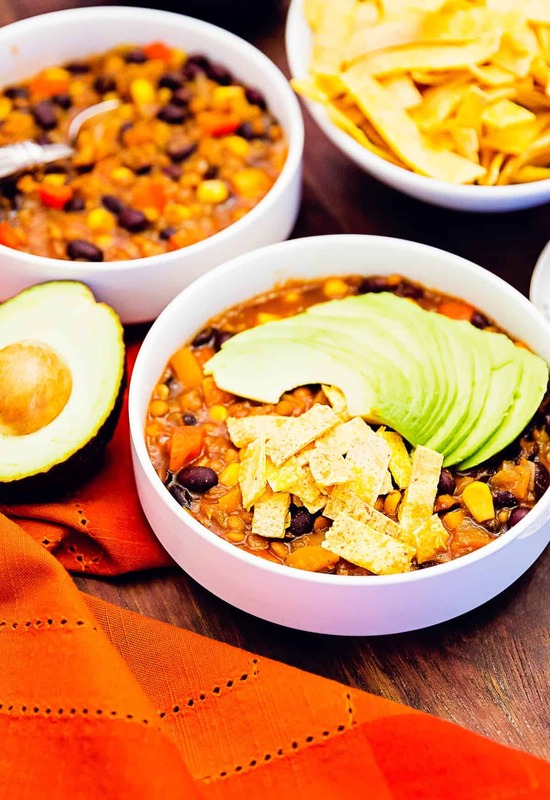 You definitely won’t walk away hungry after eating a bowl of this deliciousness. 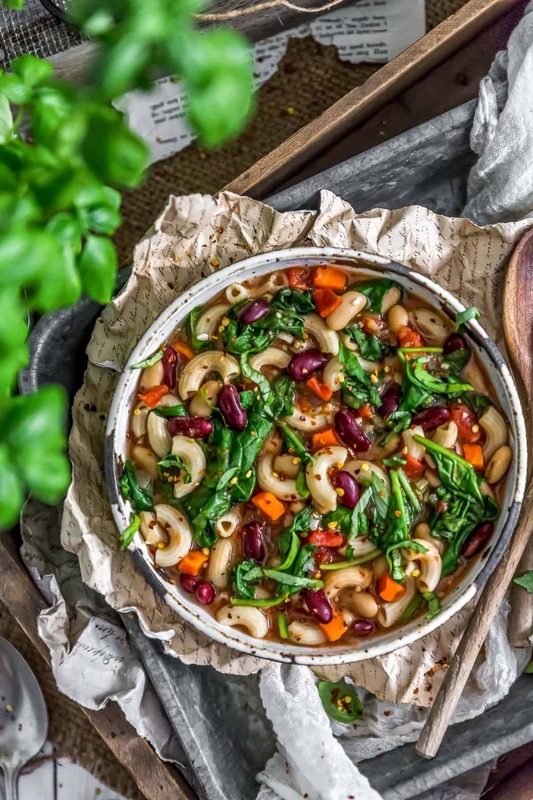 If you are looking for a great recipe to transition your kids over to Whole Food Plant Based, this one will definitely do the trick. Bake strips of gluten-free organic corn tortillas in the oven for some extra fun and crunch. We call it a stew, but you can easily control the broth density, stew-like or soup-like. If you are looking for soup, add another cup of water; otherwise, be prepared for an amazingly stew-like dish of wondrousness. It is truly happiness in a bowl full of YUM! I absolutely love this stew – simply delicious! 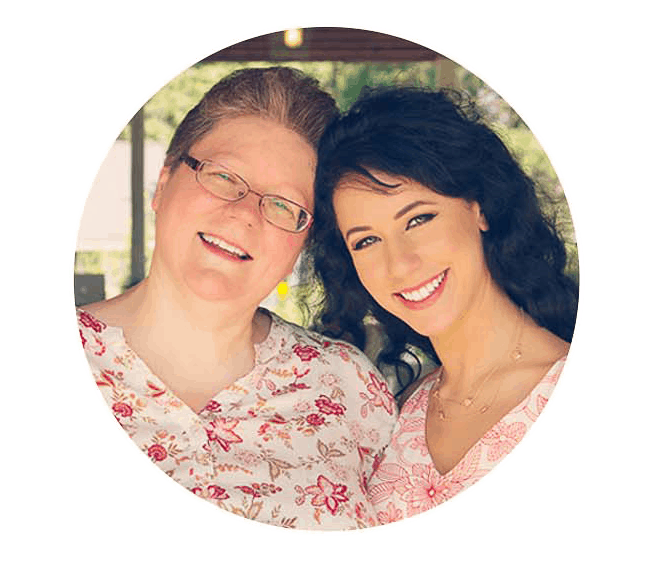 I love anything with a Southwestern flair as you will start to see some Southwestern trends on this blog site. But what I love most about this stew is that I don’t feel deprived by the lack of sour cream or cheese. Cheese – the struggle is real! One of my initial, biggest struggles on the WFPB diet was giving up cheese. I was truly addicted. The struggle is real folks. You won’t feel the need to add cheese or sour cream to this bowl of deliciousness, and that makes me happy! Growing up, my mom never used lentils, in any dish . . . ever! Lentils were simply not part of her cooking vocabulary. I am not sure why, other than I just don’t think she ever tried to use them or even thought about them much. I think she stuck with her tried and true recipes, none of which included lentils. I didn’t introduce lentils into my cooking until much later and now I use them whenever I possibly can. We love finding new ways to use them, especially since they are so satisfying in the belly! They warm you right up, body and soul! I also love using avocado chunks in this soup. It gives the impression of having sour cream, only better! Another favorite is to sprinkle chopped red onions or green onions on top. I enjoy the different textures. Everyone loves this stew (except Michael aka Mr. Picky Eater) even though he has actually never tried it. He just thinks he won’t like it. What are we gonna do with that boy? Every family has a picky eater, right? 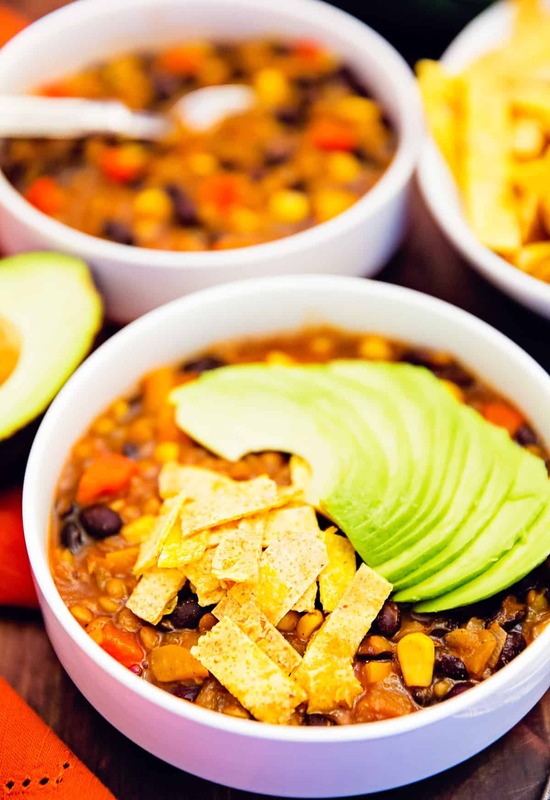 This Lentil Tortilla Stew is so easy and flavorful; it is sure to be a new family favorite. Plus, it’s Whole Food Plant Based: oil free, no processed ingredients to minimally processed ingredients, and gluten free! Corn Tortillas (Certified Organic Corn Tortillas) We use Organic Gluten-Free. Mince the onion and bell pepper and set aside. In a large ceramic-lined Dutch Oven, over medium heat, sauté the onion and bell pepper for 3-5 minutes until softened. (Add a Tablespoon of water if the onions and peppers start to stick). Next, add the following to the Dutch Oven: add the vegetable broth, water, tomato sauce, (and 8 oz. water rinsed from tomato sauce can), green chilies, tomato paste, black beans, corn, dried lentils, and the seasonings: chili powder, smoked paprika, garlic powder, cumin, oregano, dried minced onion, cayenne pepper, sea salt and pepper. Mix well. Bring to a boil. Then immediately lower the heat to simmer. Cover the Dutch Oven and simmer over low heat for 30 minutes. After 30 minutes, check the tenderness of the lentils. If the lentils are not tender, cover and simmer for an additional 10 minutes. Test the tenderness of the lentils again. Continue until lentils are tender. When the Soup-Stew is almost done, take several corn tortillas and cut them into long strips and place on a baking sheet. Broil under the low broil setting until crispy and lightly browned. 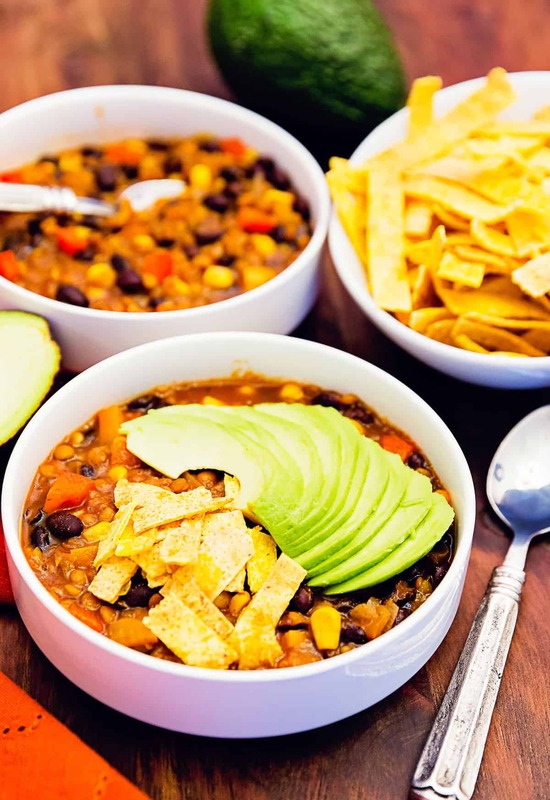 Place soup-stew in individual bowls and top with sliced avocado and crispy tortilla strips. * This tortilla soup is stew-like, but can easily be made more soup-like by adding some additional water. We recommend trying the soup-stew since it is really filling and hearty. *Brown or green lentils can be used. The cooking time may vary slightly. *Mexican Oregano's taste is a bit more citrusy and has subtle hints of lime that really enhance the flavor of chilies and paprika. Most grocery stores sell Mediterranean Oregano aka Greek Oregano (without actually labeling it as “Mediterranean Oregano”). It is simply labeled “Oregano”. You can find Mexican Oregano online if your grocery store doesn’t carry it. If you cook a lot of Southwestern type dishes, the small investment is definitely worth it. Storage: The recipe is simple and yields approximately 10 cups of soup. Cool to warm, place in glass storage and refrigerate or store in plastic containers and freeze.